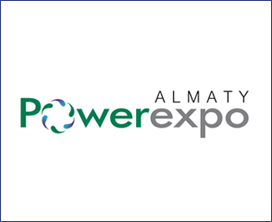 Power Kazakhstan is held annually since 2001, and includes an exhibition and the Forum of Power Engineers. In 2012, the Global Association of the Exhibition Industry (UFI) awarded Exhibition Power Kazakhstan a certificate "UFI Approved Event". The award "UFI Approved Event" indicates a high organizational level of the event, its influence on business development and the formation of the industry, and confirms the reliability of the statistics. Power Kazakhstan is supported by the Ministry of Energy of the Republic of Kazakhstan, Kazakhstan Electricity Grid Operating Company KEGOC JSC; Almaty City Akimat (Administration), Kazakhstan Electricity Association (KEA) ; Union of Power Engineers of the Republic of Kazakhstan, Union of Engineering Companies of the Republic of Kazakhstan and Academician Sh. Chokin Kazakh Research Institute of Energy JSC. Participation in the exhibition is an opportunity to present your products on the market of Kazakhstan and neighboring countries, to conclude direct contracts for the supply of products, to learn about the current buyer's requests and to establish new business contacts. Every year, international and local energy companies, global manufacturers and suppliers of electrical equipment, technology and services companies providing maintenance at power facilities, engineering and consulting companies participate in the exhibition.